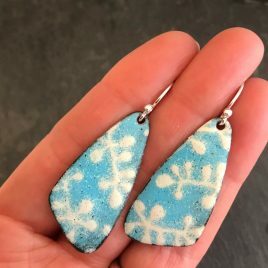 Beautiful summer festival earrings in pale blue and cream pattern. 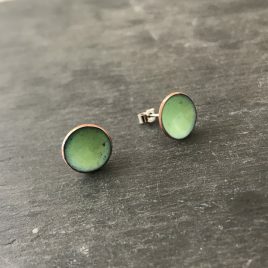 Large Butterfly wing shaped copper enamel earrings with sterling silver hand forged ear wires. 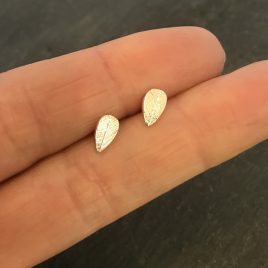 The earring drop is 5cm. 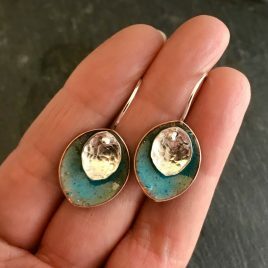 Elegant lotus leaf earrings with a large copper enamelled leaf in deep turquoise and a smaller hammered silver leaf. 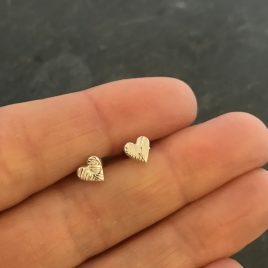 Both are hung on a handforged sterling silver ear wire. 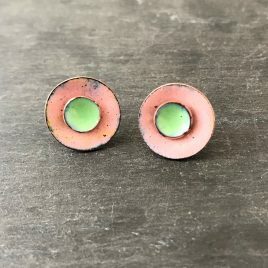 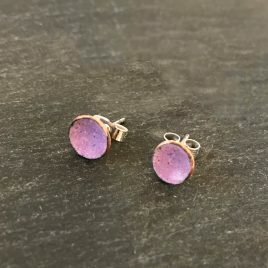 Copper enamel concave 2 in 1 stud earrings in baker-miller pink and celadon green. 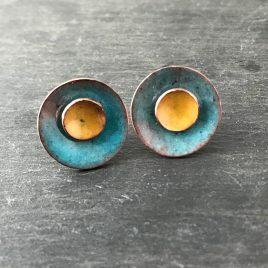 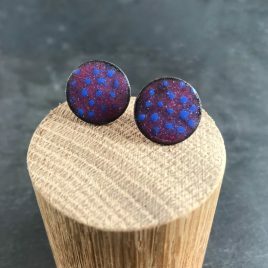 Concave copper enamel stud earrings in a deep turquoise blue colour. 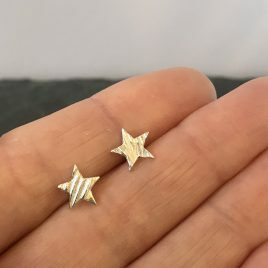 Make a wish with these lovely little handmade silver star stud earrings. 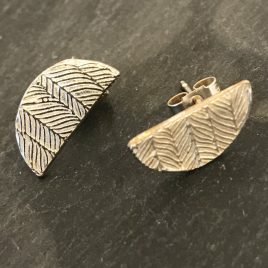 Quirky half circle/moon shape stud silver earrings, with chevron feather style embossing. 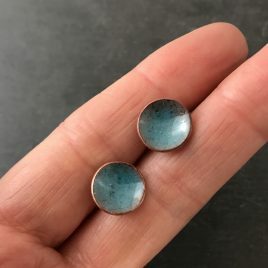 Size: 15mm in diameter.